Bound each to each by natural piety. by william wordsworth. 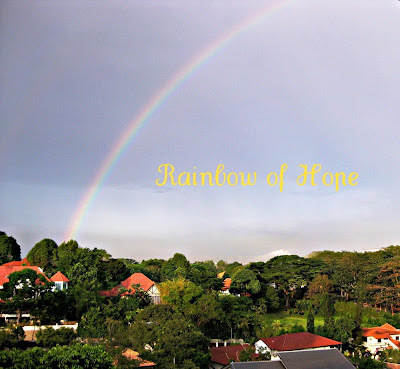 Thanks A. for sending me this Rainbow of Hope It is indeed a beautiful work of nature and I am glad to use it to mark new beginings and old endings to my blog. Thanks too to WW for this unforgettable verse to lighten up my quiet Musings.